Psalm 118:5 - When hard pressed, I cried to the Lord; he brought me into a spacious place. Isaiah 58:6 - Is not this the kind of fasting I have chosen: to loose the chains of injustice and untie the cords of the yoke, to set the oppressed free and break every yoke? John 8:32 - Then you will know the truth, and the truth will set you free. Acts 22:28 - And the chief captain answered, With a great sum obtained I this freedom. And Paul said, But I was free born. Romans 3:24 - and all are justified freely by his grace through the redemption that came by Christ Jesus. Romans 6:6-8 - For we know that our old self was crucified with him so that the body ruled by sin might be done away with, that we should no longer be slaves to sin because anyone who has died has been set free from sin. Now if we died with Christ, we believe that we will also live with him. 1 Corinthians 9:19 - Though I am free and belong to no one, I have made myself a slave to everyone, to win as many as possible. 2 Corinthians 3:17 - Now the Lord is the Spirit, and where the Spirit of the Lord is, there is freedom. 2 Corinthians 5:17 - Therefore, if anyone is in Christ, the new creation has come: The old has gone, the new is here! Galatians 4:7 - So you are no longer a slave, but God’s child; and since you are his child, God has made you also an heir. Galatians 4:31 - Therefore, brothers and sisters, we are not children of the slave woman, but of the free woman. 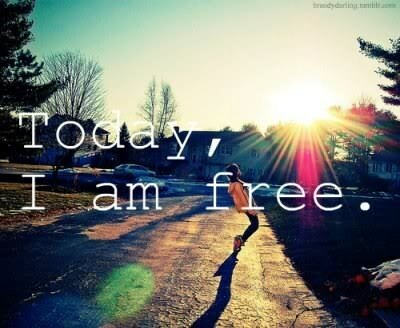 Galatians 5:1 - It is for freedom that Christ has set us free. Stand firm, then, and do not let yourselves be burdened again by a yoke of slavery. Galatians 5:13 - You, my brothers and sisters, were called to be free. But do not use your freedom to indulge the flesh; rather, serve one another humbly in love. 1 Peter 2:16 - Live as free people, but do not use your freedom as a cover-up for evil; live as God’s slaves. MATTHEW 28:18-20 - Then Jesus came to them and said, “All authority in heaven and on earth has been given to me. Therefore go and make disciples of all nations, baptizing them in the name of the Father and of the Son and of the Holy Spirit, and teaching them to obey everything I have commanded you. And surely I am with you always, to the very end of the age." ROMANS 12:7-8 - We have different gifts, according to the grace given to each of us. If your gift is prophesying, then prophesy in accordance with your faith; if it is serving, then serve; if it is teaching, then teach; if it is to encourage, then give encouragement; if it is giving, then give generously; if it is to lead, do it diligently; if it is to show mercy, do it cheerfully. 1 CORINTHIANS 12:1 - Now about the gifts of the Spirit, brothers and sisters, I do not want you to be uninformed. 1 CORINTHIANS 12:7-11 -Now to each one the manifestation of the Spirit is given for the common good. To one there is given through the Spirit a message of wisdom, to another a message of knowledge by means of the same Spirit, to another faith by the same Spirit, to another gifts of healing by that one Spirit, to another miraculous powers, to another prophecy, to another distinguishing between spirits, to another speaking in different kinds of tongues, and to still another the interpretation of tongues. All these are the work of one and the same Spirit, and he distributes them to each one, just as he determines. 1 CORINTHIANS 12:28-30 - And God has placed in the church first of all apostles, second prophets, third teachers, then miracles, then gifts of healing, of helping, of guidance, and of different kinds of tongues. Are all apostles? Are all prophets? Are all teachers? Do all work miracles? Do all have gifts of healing? Do all speak in tongues? Do all interpret? Now eagerly desire the greater gifts. And yet I will show you the most excellent way. 1 CORINTHIANS 14:5 - I would like every one of you to speak in tongues, but I would rather have you prophesy. The one who prophesies is greater than the one who speaks in tongues, unless someone interprets, so that the church may be edified. EPHESIANS 4:7 - But to each one of us grace has been given as Christ apportioned it. EPHESIANS 4:10-13 - He who descended is the very one who ascended higher than all the heavens, in order to fill the whole universe. So Christ himself gave the apostles, the prophets, the evangelists, the pastors and teachers, to equip his people for works of service, so that the body of Christ may be built up until we all reach unity in the faith and in the knowledge of the Son of God and become mature, attaining to the whole measure of the fullness of Christ. 2 TIMOTHY 1:6 - For this reason I remind you to fan into flame the gift of God, which is in you through the laying on of my hands. HEBREWS 2:3-4 - how shall we escape if we ignore so great a salvation? This salvation, which was first announced by the Lord, was confirmed to us by those who heard him. God also testified to it by signs, wonders and various miracles, and by gifts of the Holy Spirit distributed according to his will. JAMES 1:5 - If any of you lacks wisdom, you should ask God, who gives generously to all without finding fault, and it will be given to you. 1 PETER 4:10-11 - Each of you should use whatever gift you have received to serve others, as faithful stewards of God’s grace in its various forms. If anyone speaks, they should do so as one who speaks the very words of God. If anyone serves, they should do so with the strength God provides, so that in all things God may be praised through Jesus Christ. To him be the glory and the power for ever and ever. Amen. GENESIS 5:2 - He created them male and female and blessed them. And he named them “Mankind” when they were created. DEUTERONOMY 28:2-8 - All these blessings will come on you and accompany you if you obey the Lord your God: You will be blessed in the city and blessed in the country. The fruit of your womb will be blessed, and the crops of your land and the young of your livestock—the calves of your herds and the lambs of your flocks. Your basket and your kneading trough will be blessed. You will be blessed when you come in and blessed when you go out. The Lord will grant that the enemies who rise up against you will be defeated before you. They will come at you from one direction but flee from you in seven. The Lord will send a blessing on your barns and on everything you put your hand to. The Lord your God will bless you in the land he is giving you. PSALM 1:1-3 - Blessed is the one who does not walk in step with the wicked or stand in the way that sinners take or sit in the company of mockers, but whose delight is in the law of the Lord, and who meditates on his law day and night. That person is like a tree planted by streams of water, which yields its fruit in season and whose leaf does not wither, whatever they do prospers. PSALM 32:1 - Blessed is the one whose transgressions are forgiven, whose sins are covered. PSALM 33:12 - Blessed is the nation whose God is the Lord, the people he chose for his inheritance. PSALM 41:1 - Blessed are those who have regard for the weak; the Lord delivers them in times of trouble. PSALM 65:4 - Blessed are those you choose and bring near to live in your courts! We are filled with the good things of your house, of your holy temple. PSALM 84:12 - Lord Almighty, blessed is the one who trusts in you. PSALM 144:15 - Blessed is the people of whom this is true; blessed is the people whose God is the Lord. 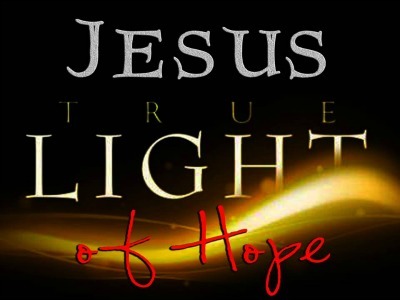 PSALM 146:5 - Blessed are those whose help is the God of Jacob, whose hope is in the Lord their God. PROVERBS 20:7 - The righteous lead blameless lives; blessed are their children after them. MATTHEW 5:3-12 - “Blessed are the poor in spirit, for theirs is the kingdom of heaven. Blessed are those who mourn, for they will be comforted. Blessed are the meek, for they will inherit the earth. Blessed are those who hunger and thirst for righteousness, for they will be filled. Blessed are the merciful, for they will be shown mercy. Blessed are the pure in heart, for they will see God. Blessed are the peacemakers, for they will be called children of God. Blessed are those who are persecuted because of righteousness, for theirs is the kingdom of heaven. “Blessed are you when people insult you, persecute you and falsely say all kinds of evil against you because of me. Rejoice and be glad, because great is your reward in heaven, for in the same way they persecuted the prophets who were before you. MATTHEW 5:5 - Blessed are the meek, for they will inherit the earth. JOHN 13:14-17 - Now that I, your Lord and Teacher, have washed your feet, you also should wash one another’s feet. I have set you an example that you should do as I have done for you. Very truly I tell you, no servant is greater than his master, nor is a messenger greater than the one who sent him. Now that you know these things, you will be blessed if you do them. GALATIANS 3:8-9 - Scripture foresaw that God would justify the Gentiles by faith, and announced the gospel in advance to Abraham: “All nations will be blessed through you.” So those who rely on faith are blessed along with Abraham, the man of faith. EPHESIANS 1:3 - Praise be to the God and Father of our Lord Jesus Christ, who has blessed us in the heavenly realms with every spiritual blessing in Christ. JAMES 1:12 - Blessed is the one who perseveres under trial because, having stood the test, that person will receive the crown of life that the Lord has promised to those who love him. GENESIS 1:27 - So God created mankind in his own image, in the image of God he created them; male and female he created them. GENESIS 2:7 - Then the Lord God formed a man from the dust of the ground and breathed into his nostrils the breath of life, and the man became a living being. JOB 33:4 - The Spirit of God has made me; the breath of the Almighty gives me life. PSALM 50:5 - Gather to me this consecrated people, who made a covenant with me by sacrifice. 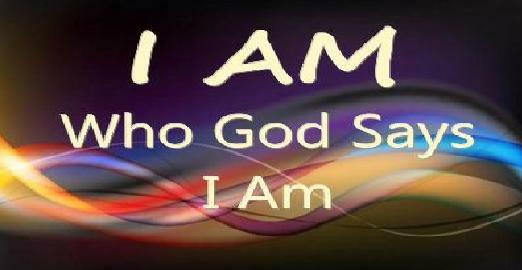 PSALM 82:6 - I said, ‘You are “gods”; you are all sons of the Most High. PSALM 139:13-15 - For you created my inmost being; you knit me together in my mother’s womb. I praise you because I am fearfully and wonderfully made; your works are wonderful, I know that full well. My frame was not hidden from you when I was made in the secret place, when I was woven together in the depths of the earth. ISAIAH 49:15 - Can a mother forget the baby at her breast and have no compassion on the child she has borne? Though she may forget, I will not forget you! ISAIAH 43:1 - But now, this is what the Lord says, he who created you, Jacob, he who formed you, Israel: “Do not fear, for I have redeemed you; I have summoned you by name; you are mine. MATTHEW 10:30 - And even the very hairs of your head are all numbered. MATTHEW 13:45-46 - Again, the kingdom of heaven is like a merchant looking for fine pearls. When he found one of great value, he went away and sold everything he had and bought it. MATTHEW 6:26 - Look at the birds of the air; they do not sow or reap or store away in barns, and yet your heavenly Father feeds them. Are you not much more VALUABLE than they? JOHN 13:33 - My children, I will be with you only a little longer. You will look for me, and just as I told the Jews, so I tell you now: Where I am going, you cannot come. JOHN 14:2-3 - My Father’s house has many rooms; if that were not so, would I have told you that I am going there to prepare a place for you? And if I go and prepare a place for you, I will come back and take you to be with me that you also may be where I am. 1 CORINTHIANS 6:19-20 - Do you not know that your bodies are temples of the Holy Spirit, who is in you, whom you have received from God? You are not your own; you were bought at a price. Therefore honor God with your bodies. 2 CORINTHIANS 3:5 - Not that we are competent in ourselves to claim anything for ourselves, but our competence comes from God. EPHESIANS 2:10 - For we are God’s handiwork, created in Christ Jesus to do good works, which God prepared in advance for us to do. COLOSSIANS 3:12 - Therefore, as God’s chosen people, holy and dearly loved, clothe yourselves with compassion, kindness, humility, gentleness and patience. PSALMS 85:2 - You forgave the iniquity of your people and covered all their sins. PSALMS 103:8-12 - The Lord is compassionate and gracious, slow to anger, abounding in love. He will not always accuse, nor will he harbor his anger forever; he does not treat us as our sins deserve or repay us according to our iniquities. For as high as the heavens are above the earth, so great is his love for those who fear him; as far as the east is from the west, so far has he removed our transgressions from us. ISAIAH 33:24 - No one living in Zion will say, “I am ill”; and the sins of those who dwell there will be forgiven. MATTHEW 12:31-32 - And so I tell you, every kind of sin and slander can be forgiven, but blasphemy against the Spirit will not be forgiven. Anyone who speaks a word against the Son of Man will be forgiven, but anyone who speaks against the Holy Spirit will not be forgiven, either in this age or in the age to come. MARK 4:12 - so that, “‘they may be ever seeing but never perceiving, and ever hearing but never understanding; otherwise they might turn and be forgiven! LUKE 6:37 - “Do not judge, and you will not be judged. Do not condemn, and you will not be condemned. Forgive, and you will be forgiven. ACTS 10:43 - All the prophets testify about him that everyone who believes in him receives forgiveness of sins through his name. ROMANS 4:7 - Blessed are those whose transgressions are forgiven, whose sins are covered. ROMANS 8:1-2 - Therefore, there is now no condemnation for those who are in Christ Jesus, because through Christ Jesus the law of the Spirit who gives life has set you[a] free from the law of sin and death. EPHESIANS 1:7-10 - In him we have redemption through his blood, the forgiveness of sins, in accordance with the riches of God’s grace that he lavished on us. With all wisdom and understanding, he made known to us the mystery of his will according to his good pleasure, which he purposed in Christ, to be put into effect when the times reach their fulfillment,to bring unity to all things in heaven and on earth under Christ. EPHESIANS 4:32 - Be kind and compassionate to one another, forgiving each other, just as in Christ God forgave you. COLOSSIANS 1:13-14 - For he has rescued us from the dominion of darkness and brought us into the kingdom of the Son he loves, 14 in whom we have redemption, the forgiveness of sins. COLOSSIANS 2:13-14 - When you were dead in your sins and in the uncircumcision of your flesh, God made you alive with Christ. 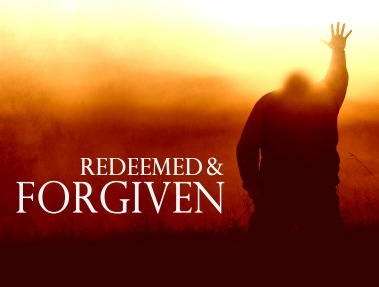 He forgave us all our sins, having canceled the charge of our legal indebtedness, which stood against us and condemned us; he has taken it away, nailing it to the cross. JAMES 5:15 - And the prayer offered in faith will make the sick person well; the Lord will raise them up. If they have sinned, they will be forgiven. 1 JOHN 2:12 - I am writing to you, dear children, because your sins have been forgiven on account of his name. PSALMS 25:3 - No one who hopes in you will ever be put to shame, but shame will come on those who are treacherous without cause. PSALMS 37:37 - Consider the blameless, observe the upright; a future awaits those who seek peace. PSALMS 71:5 - For you have been my hope, Sovereign Lord, my confidence since my youth. PROVERBS 23:18 - There is surely a future hope for you, and your hope will not be cut off. ISAIAH 40:31 - but those who hope in the Lord will renew their strength. They will soar on wings like eagles; they will run and not grow weary, they will walk and not be faint. ROMANS 5:1-5 - Therefore, since we have been justified through faith, we have peace with God through our Lord Jesus Christ, through whom we have gained access by faith into this grace in which we now stand. And we boast in the hope of the glory of God. Not only so, but we also glory in our sufferings, because we know that suffering produces perseverance; perseverance, character; and character, hope. And hope does not put us to shame, because God’s love has been poured out into our hearts through the Holy Spirit, who has been given to us. ROMANS 15:4 - For everything that was written in the past was written to teach us, so that through the endurance taught in the Scriptures and the encouragement they provide we might have hope. COLOSSIANS 3:4 - When Christ, who is your life, appears, then you also will appear with him in glory. 2 CORINTHIANS 3:12 - Therefore, since we have such a hope, we are very bold. 1 THESSALONIANS 4:16-18 - For the Lord himself will come down from heaven, with a loud command, with the voice of the archangel and with the trumpet call of God, and the dead in Christ will rise first. After that, we who are still alive and are left will be caught up together with them in the clouds to meet the Lord in the air. And so we will be with the Lord forever. Therefore encourage one another with these words. 1 TIMOTHY 6:17 - Command those who are rich in this present world not to be arrogant nor to put their hope in wealth, which is so uncertain, but to put their hope in God, who richly provides us with everything for our enjoyment. HEBREWS 10:23 - Let us hold unswervingly to the hope we profess, for he who promised is faithful. JAMES 5:7 - Be patient, then, brothers and sisters, until the Lord’s coming. See how the farmer waits for the land to yield its valuable crop, patiently waiting for the autumn and spring rains. 1 PETER 1:3-5 - Praise be to the God and Father of our Lord Jesus Christ! In his great mercy he has given us new birth into a living hope through the resurrection of Jesus Christ from the dead, and into an inheritance that can never perish, spoil or fade. This inheritance is kept in heaven for you, who through faith are shielded by God’s power until the coming of the salvation that is ready to be revealed in the last time. REVELATIONS 1:7 -“Look, he is coming with the clouds,” and “every eye will see him, even those who pierced him”; and all peoples on earth “will mourn because of him.”So shall it be! Amen. GENESIS 2:15 - The Lord God took the man and put him in the Garden of Eden to work it and take care of it. GENESIS 2:24 - That is why a man leaves his father and mother and is united to his wife, and they become one flesh. GENESIS 17:9 - Then God said to Abraham, “As for you, you must keep my covenant, you and your descendants after you for the generations to come. EXODUS 9:16 - But I have raised you up for this very purpose, that I might show you my power and that my name might be proclaimed in all the earth. ECCLESIASTES 3:11- He has made everything beautiful in its time. He has also set eternity in the human heart; yet no one can fathom what God has done from beginning to end. PROVERBS 16:9 - In their hearts humans plan their course, but the Lord establishes their steps. JOHN 6:38 - For I have come down from heaven not to do my will but to do the will of him who sent me. JOHN 15:16 - You did not choose me, but I chose you and appointed you so that you might go and bear fruit, fruit that will last, and so that whatever you ask in my name the Father will give you. ACTS 11:23 - When he arrived and saw what the grace of God had done, he was glad and encouraged them all to remain true to the Lord with all their hearts. 2 CORINTHIANS 5:5 - Now the one who has fashioned us for this very purpose is God, who has given us the Spirit as a deposit, guaranteeing what is to come. 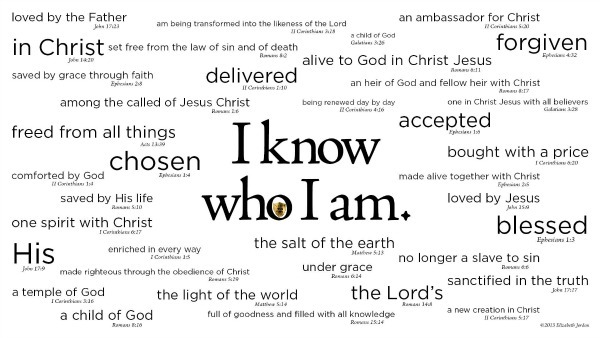 COLOSSIANS 2:2 - My goal is that they may be encouraged in heart and united in love, so that they may have the full riches of complete understanding, in order that they may know the mystery of God, namely, Christ, in whom are hidden all the treasures of wisdom and knowledge. I tell you this so that no one may deceive you by fine-sounding arguments. For though I am absent from you in body, I am present with you in spirit and delight to see how disciplined you are and how firm your faith in Christ is. So then, just as you received Christ Jesus as Lord, continue to live your lives in him, rooted and built up in him, strengthened in the faith as you were taught, and overflowing with thankfulness. 2 THESSALONIANS 1:11 - With this in mind, we constantly pray for you, that our God may make you worthy of his calling, and that by his power he may bring to fruition your every desire for goodness and your every deed prompted by faith. 1 JOHN 2:17 - And the world passeth away, and the lust thereof: but he that doeth the will of God abideth for ever.